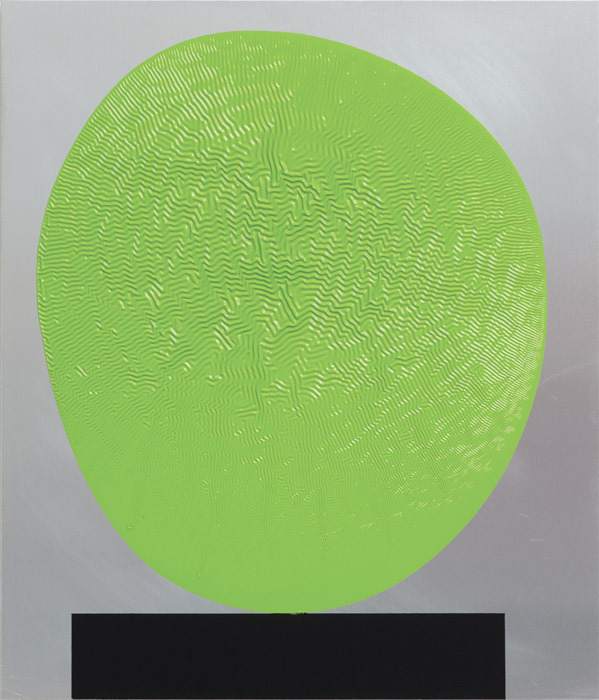 David Batchelor, Green (ali) 04.04.11, 2011, gloss paint on composite aluminum board, 23 3/4 x 20 3/8". Although David Batchelor’s three-dimensional objects and photographs have often reflected on the condition of painting, this was the first time that he has exhibited works that are, in fact, paintings. Yet as flat things on the wall, the new pieces in this show (which was called “2D3D: David Batchelor”) talk back to the idea of sculpture in a way that is both incisive and comic. They also prompt some basic questions about the relationship between abstraction and figurationthese works operate in both registersand invite us to think why that relationship (or at any rate its messier gray areas) still matters.